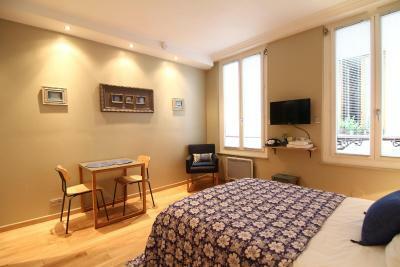 Lock in a great price for My Open Paris – rated 9.3 by recent guests! 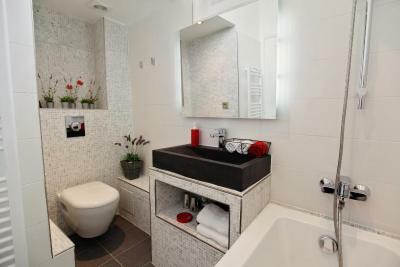 Very comfortable and spacious apartment, clean and modern. Excellent breakfast served in the comfort of your room. Bed and mattresses were extremely comfortable. The place is tucked away in a quiet neighborhood. 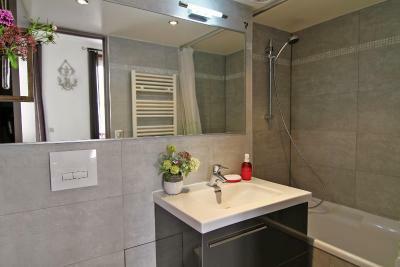 Each room is clean and modern with a small kitchen. The breakfast is very nice and the staff is friendly and knowledgeable. 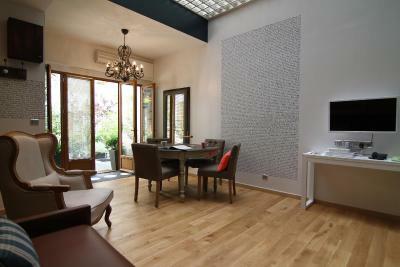 The location is great, walking distance to the seine, walking distance to the metro and train. 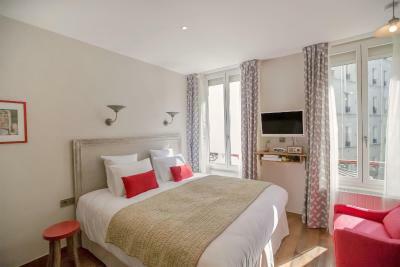 We've stayed there on 2 separate trips to Paris and have been completely satisfied both times. 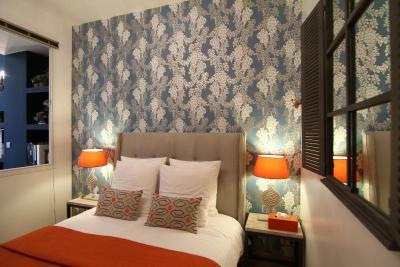 Beautiful hotel with quiet cozy rooms. Very clean. Lots of shops, grocery stores and restaurants nearby. Friendly and accommodating staff! Amazing breakfast! 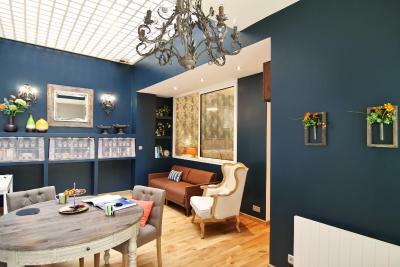 We had a wonderful stay at My Open Paris. The staff was very friendly, and helpful. Our room was nice and cozy. We enjoyed the amazing breakfasts left outside our door each morning. 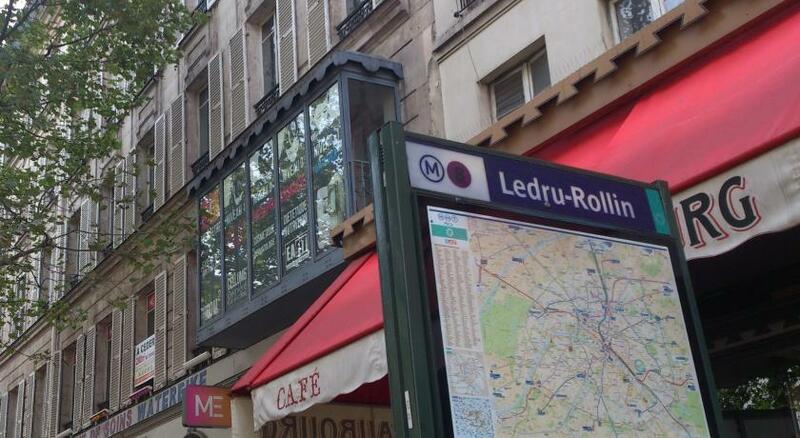 The location is good, easy to get to the metro and bus. We visited some of the restaurants in the area. 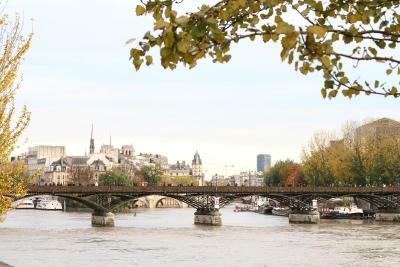 If we make it back to Paris, we would stay there again. My wife continues to talk warmly of the food tastiness and presentation that greeted us each morning. It was a great way to get our day started and gave us great anticipation for the next day. Much appreciation to the cook/Eanjo. The property is located in really quiet place. Mini garden is awesome. 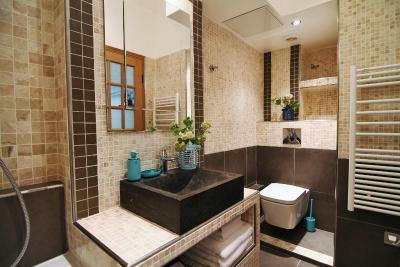 Interrior is designed with comfort home style. The French breakfast is tasty and great. I and my wife is really exited with this accommodation. I had a wonderful stay! The owners were lovely and breakfast every morning was excellent! 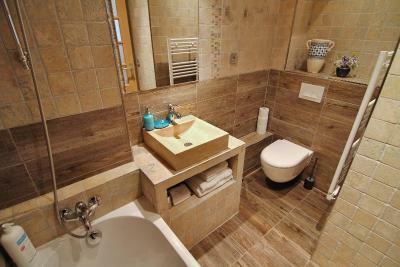 With garden views, apartments and studios offer a fan, wooden floors and a bathroom with a bath, slippers and a hairdryer. Some accommodations types have a TV, a blu-ray player and a DVD player. 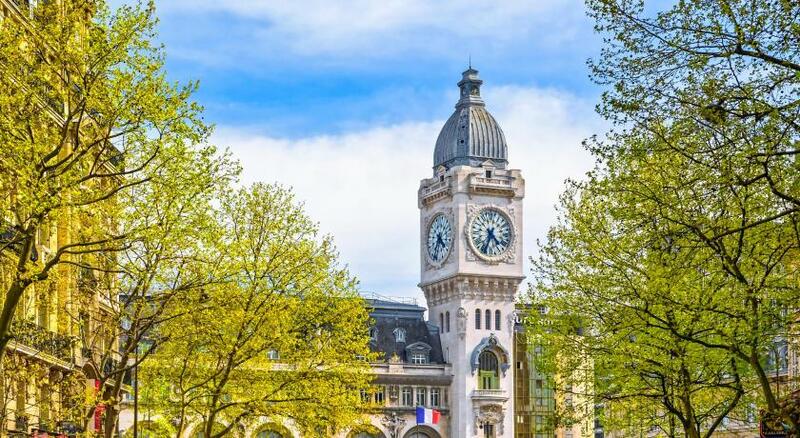 This property is a 6-minute walk from Gare de Lyon Train Station and a 13-minute walk from the Jardin des Plantes. Noter-Dame Cathedral is a 20-minute walk away. 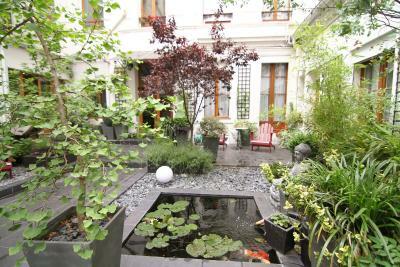 뀐 Located in the top-rated area in Paris, this property has an excellent location score of 9.4! 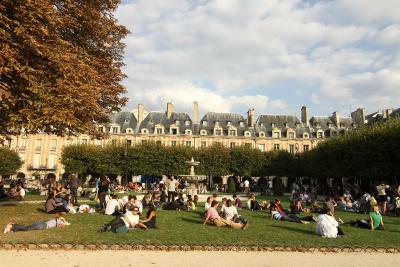 When would you like to stay at My Open Paris? Public parking is available at a location nearby (reservation is not needed) and costs EUR 37 per day. 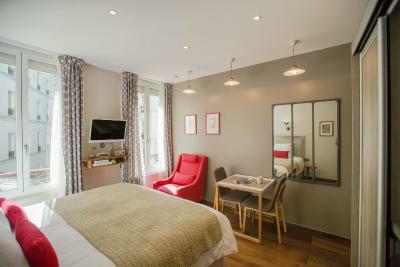 Our B&B is a beautiful 200 years old buidling, very safe and close to the Gare de Lyon station, and is also a stunning oasis in the heart of Paris. 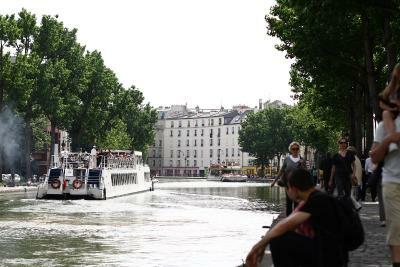 It is the best place for public transportations in Paris and towards the provinces, Versailles Castle, Disneyland and Fontainebleau castle. 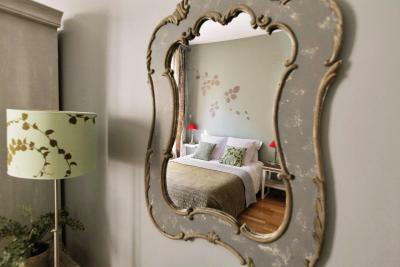 Our home is ideal for the couples, family and small groups with connecting/adjoining rooms. 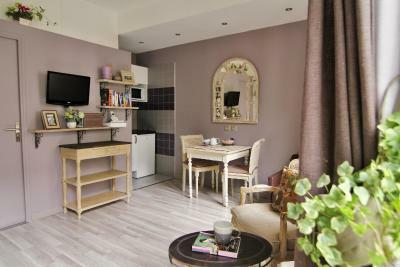 You have the possibility to prepare a light meal with full equipped kitchen in each room. Enjoy our home-made french breakfast. 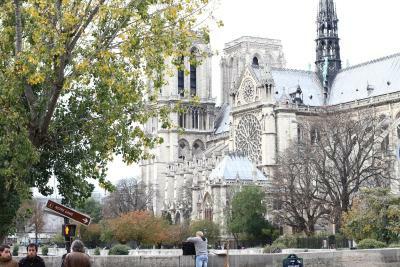 Area Info – This neighborhood is a great choice for travelers interested in history, cathedrals and architecture – Check location Excellent location – show map Guests loved walking around the neighborhood! House Rules My Open Paris takes special requests – add in the next step! My Open Paris accepts these cards and reserves the right to temporarily hold an amount prior to arrival. I loved everything about my stay here, except having to take my shoes off inside the building and walking up and down two sets of stairs in ill-fitting slippers. No elevator. We looked through about 50 hotels before we chose My Open Paris. There were only positive reviews and location was perfect. 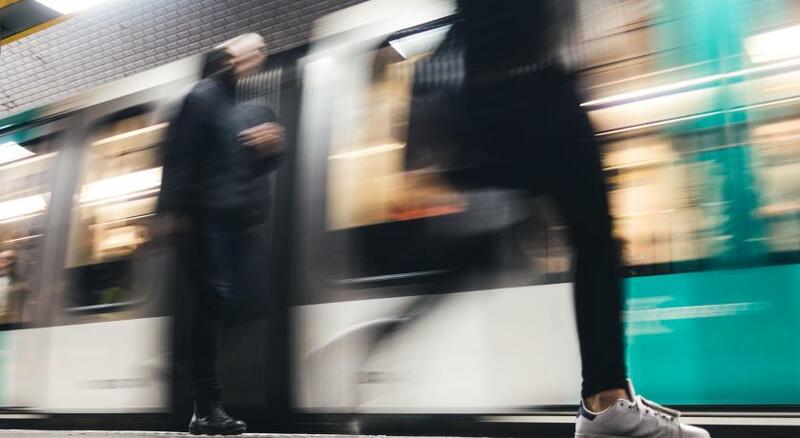 The venue is between 4 and 12 districts (we don’t recommend to live near North railway station and Montmartre) about 15 minutes walk to Notre Dame and 10 minutes to Cité, 2 metro stations near. 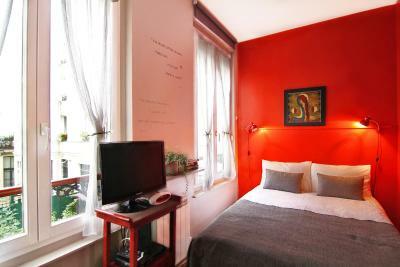 Actually our stay at My Open Paris B&B exceeded our expectations. 1. It is situated in a 200 year old building, with its own small but very cozy courtyard where you can have a rest in the evening. 2. 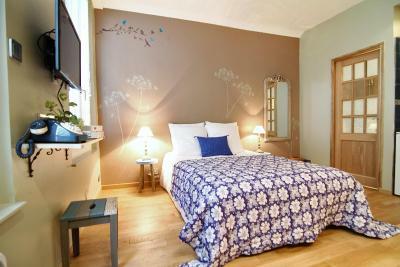 Rooms are very clean and contain everything you need including tea kettle, coffee machine, TV, radio, etc. 3. What is the most important, the family who hosts this place is very friendly. They bring breakfast every morning in the room. To be honest, this was the best breakfast we ever had in our life (look at the picture). And we were recommended French authentic restaurants which is valuable as well. 4. In general, the district is safe, carrefour near and brassieres. The breakfast was great however you must eat it in your room. I never saw the host the whole time I was there. Perhaps a system where we could sent a WhatsApp message if we have a question? Beautiful room with all new facilities. Attention to details, amazing owner...i am a regular traveler to Paris and this is the second time i stay here... definitely one of my favourite hotels in paris and elsewhere. Nothing to dislike. 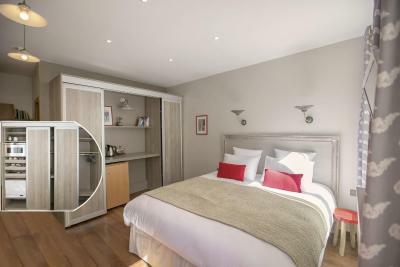 A lovely high end boutique hotel in Cemtral Paris. The owner managers were very friendly and helpful during our stay. Really first rate accommodation. A quiet zen oasis in the middle of bustling Paris. Very clean and comfortable. Bed very comfortable. Breakfast simple but fine and tasty Arrived very late but greeted and sorted out. After just coming home from Paris to propose to my girlfriend for a long weekend and new year away, it has been a magnificent trip. Breakfast was amazing, arrived in a nice basket each morning outside your door. Croissants, jam, yoghurt, fruit etc. Its all there!! 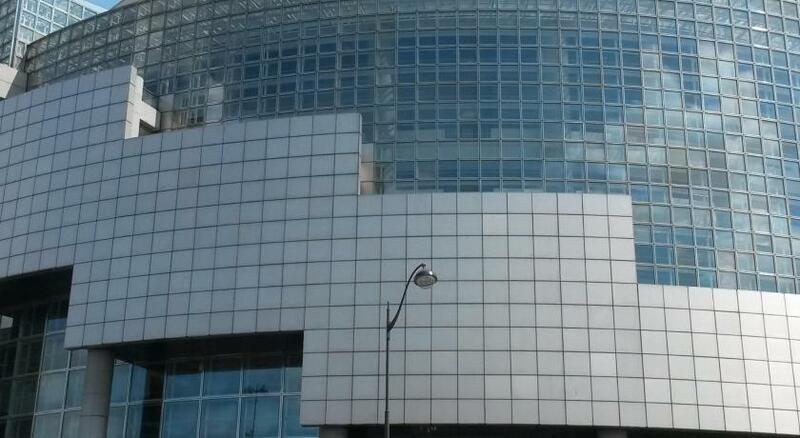 great location (easy metro access) and easy car parking too (very secure). 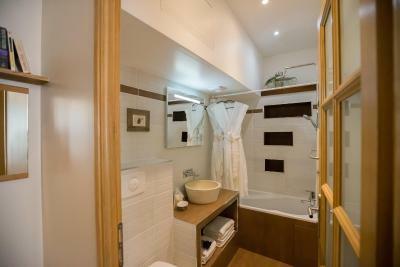 room was excellent, lovely bathroom. Courtyard was very pretty. Would love to come again soon! She said yes by the way!! Very nice spot in Paris, breakfast is great! It was an absolutely lovely trip. Even though the location is on a pretty crowdy street (which makes for very short ways to the bus and metro stations), the appartment are in a back yard where it is very quiet! 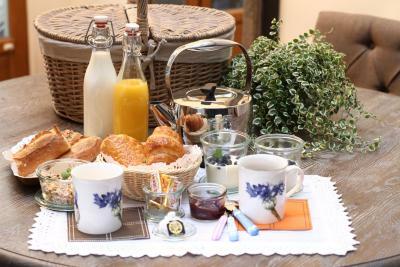 The breakfast is served in a nice basket to your room and consists only of the freshest ingredients (ham, cheese, eggs and of course croissants et baguettes) and the hosts are lovely! Can’t recommend the apartments enough!